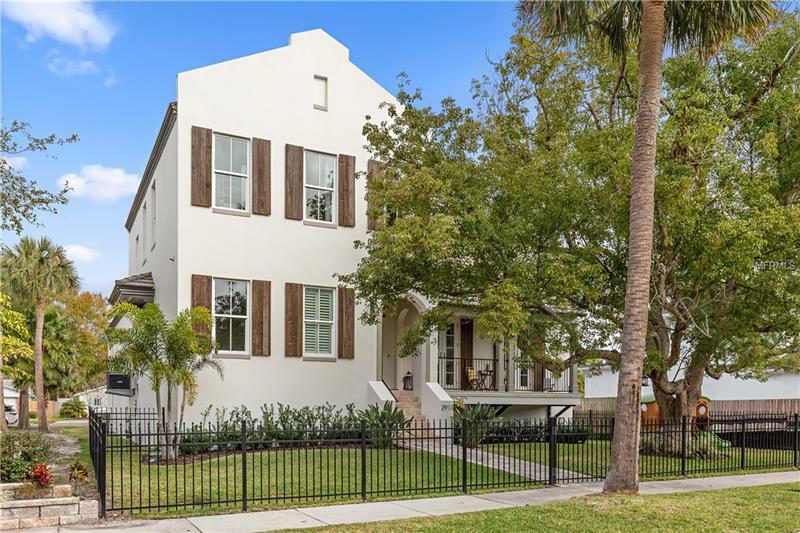 An incredible Dutch West Indies Colonial located on one of the most rapidly changing and nicest streets between Bayshore and Macdill. Rare 62X136 lot that goes from Alline to Asbury allowing for a rear entry 3 car garage. From the moment you enter you will notice how different this is than most ordinary homes and floor plans. Beautiful open floor plan with beamed ceilings, 7.5â bleached oil rubbed floors, and a true masonry fireplace in the great room. Stunning chefâs kitchen with beautiful statuary marble countertops, Sub_zero refrigerator and Viking range. Very private master suite located off the family room. Three additional bedrooms on the second floor with another den/office on the first floor. Very rare raised saltwater pool, outdoor kitchen and lanai feel like itâs part of your everyday living area. Two story cement block and hurricane windows for peace of mind and maintenance plus a cement tile roof. Beautiful wrought iron fence. Sidewalks lead to Bayshore just a few houses away. Close to Hyde Park, So-Ho, Downtown, Westshore, International Mall, TIA and the beaches!